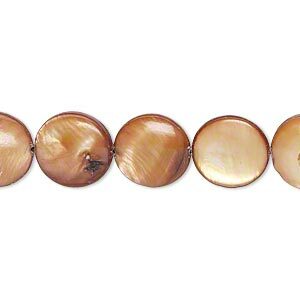 Bead, mother-of-pearl shell (dyed), copper, 11-12mm puffed flat round. Sold per 15" to 16" strand. 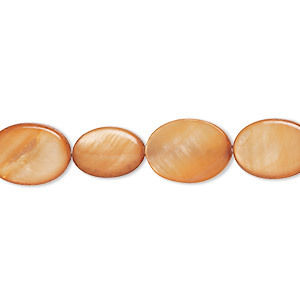 NEW - Bead, mother-of-pearl shell (dyed), copper, 10x5mm flat oval with 0.6-1mm hole, Mohs hardness 3-1/2. Sold per 15-inch strand. 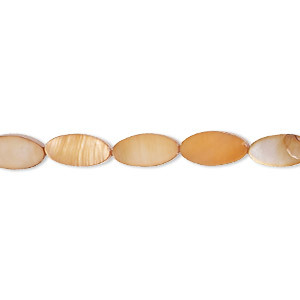 NEW - Bead, mother-of-pearl shell (dyed), copper, 12x8mm-12x9mm flat oval with 0.6-1mm hole, Mohs hardness 3-1/2. Sold per 15-inch strand. 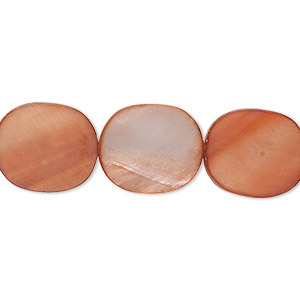 NEW - Bead, mother-of-pearl shell (dyed), copper, 14x10mm flat oval with 0.6-1mm hole, Mohs hardness 3-1/2. Sold per 15-inch strand. 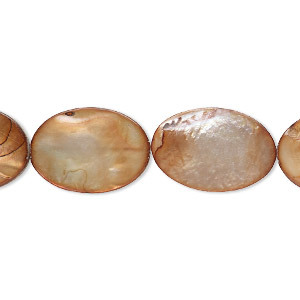 NEW - Bead, mother-of-pearl shell (dyed), copper, 15x13mm flat oval with 0.6-0.8mm hole, Mohs hardness 3-1/2. Sold per 15-inch strand. 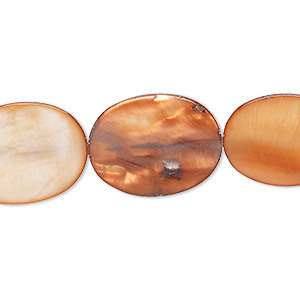 NEW - Bead, mother-of-pearl shell (dyed), copper, 17x13mm-18x13mm flat oval with 0.6-1mm hole, Mohs hardness 3-1/2. Sold per 15-inch strand. 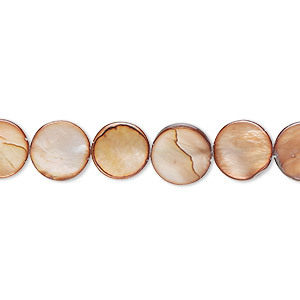 NEW - Bead, mother-of-pearl shell (dyed), copper, 18x13mm flat oval with 0.6-0.8mm hole, Mohs hardness 3-1/2. Sold per 15-inch strand. 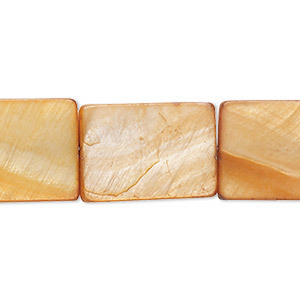 NEW - Bead, mother-of-pearl shell (dyed), copper, 20x14mm-21x15mm flat rectangle with 0.6-0.8mm hole, Mohs hardness 3-1/2. Sold per 15-inch strand. 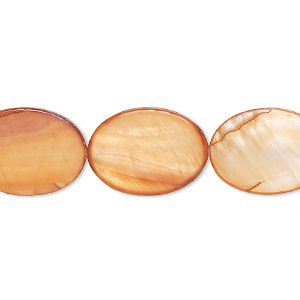 NEW - Bead, mother-of-pearl shell (dyed), copper, 20x15mm flat oval with 0.6-1mm hole, Mohs hardness 3-1/2. Sold per 15-inch strand. 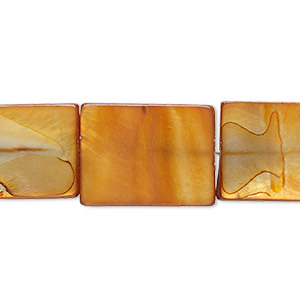 NEW - Bead, mother-of-pearl shell (dyed), copper, 20x15mm flat rectangle with 0.6-0.8mm hole, Mohs hardness 3-1/2. Sold per 15-inch strand. 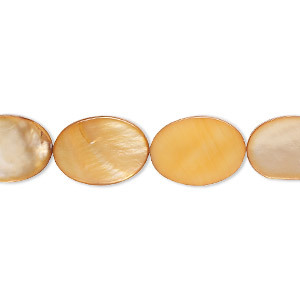 NEW - Bead, mother-of-pearl shell (dyed), copper, 9-10mm flat round with 0.6-1mm hole, Mohs hardness 3-1/2. Sold per 15-inch strand.